A reclusive millionaire author was murdered by a man who stole his identity in order to plunder his wealth, the Old Bailey has heard. 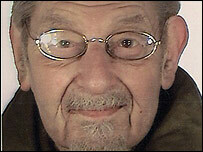 Allan Chappelow, 86, was found beaten to death at his home in Downshire Hill, Hampstead, north-west London, in 2006. His body was hidden for about a month as a man stole his post in order to access his finances, jurors heard. Wang Yam, 46, of Hampstead, denies murder, burglary as well as four dishonesty offences. The charges include obtaining a money transfer of £20,000 by pretending to be the writer and taking four cheques and post from the house. The court heard Mr Chappelow's body was found under a pile of papers in a room at the dilapidated house, which is thought to be valued at £2.5m. Prosecutor Mark Ellison said Mr Chappelow had returned from a trip to America on 1 May and found his front door had been forced open and his post stolen. This would have included correspondence about a "substantial amount of money" in his accounts. The last time he was known to be alive was on 8 May when he telephoned the Inland Revenue to check that a tax rebate had not been amongst the missing post. Mr Ellison said Mr Yam was using a form of identity theft known as "facility takeover" where the thief would impersonate the victim over the internet or telephone. The court heard that in September 2005 the defendant had declared himself bankrupt after amassing debts of £1.1m with virtually no assets. "There is no evidence that the defendant and Mr Chappelow were known to each other - but there is evidence of Mr Wang's dire financial circumstances while he continued to put himself about as someone with the money to purchase properties worth more than £1m in the Hampstead area," said Mr Ellison. The court was told how Mr Chappelow had been a successful author, particularly in the 1960s when he wrote two biographies of George Bernard Shaw. At the time of his death he lived alone in the house with rubbish piled up on the inside and out. Before the case started jurors were told that part of the trial would be heard "in camera" where the press and public would be excluded. The case continues.